If you’re looking for a reliable and personal cat sitting service, then look no further! 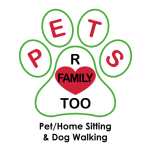 At Pets R Family Too, we offer the best in-house cat sitting services in Henderson NV and surrounding areas. Over the years our sitters have become extremely experienced caring for all cat breeds and distinct personalities. Whether you have one cat that needs to be taken care of, or a few, or whether your cat is friendly or feral, indoors or out, we can help. Our cat sitters are also licensed, bonded, and insured This gives you the peace of mind you deserve and also makes sure that you’re always covered. In addition to feeding, medicating, and playing with your cat during our visits, we will also clean litter boxes, collect mail, water plants, rotate lights, and complete other necessary tasks. Here at Pets R Family too, our cat sitters are dedicated to making sure that your cat feels comfortable as soon as you leave home. We’re also happy to keep your home in tip-top shape while you’re away. Aside from housecats relying on their pet parents for food and water, they also require supervision. Even though many cats are independent and leaving them with food and water for a few days sounds okay, that is never the case. Pets are used to human contact and can act differently if they know that no one is around anymore. Cats, like other pets, also become stressed or upset by the absence of their pet parents. Without a cat sitter, pet parents have no way of knowing how their beloved pet is doing while they are away. In the event of pet damage to the home, or pet health issues, they won’t be able to act accordingly or in time, which can be costly or tragic. When a friend or neighbor performs cat sitting, they often do not vist for at least 30 minutes. This falls short for many reasons because it means that the cat within the home is not getting enough attention, and the home isn’t properly inspected. At Pets R Family Too we visit cats for at least thirty minutes a day. In fact, Pet Sitters International states that this is the average time it takes for a professional cat sitter to provide care for one cat. This includes everything from feeding to playing. Whereas an amateur cat sitter will overlook critical sitting needs during a quick visit inside the house, a professional will make sure everything is taken care of properly. To ensure the happiness of cats that we take care of, our staff meets with pet owners a few days before they will start the sitting. This way our sitters can meet the pet owners, learn about the cat’s needs, and meet them. Cats are very territorial and taking them to a pet sitting facility can upset them. Many of these buildings are well equipped for providing cats with a great environment, but they are much happier at home where they are comfortable. At Pets R Family Too we visit the cats we sit at least once a day, although we recommend two visits. If your cat is sick or needs extra visits, we can provide that attention as needed. If you have any questions about our service or are interested in getting a free quote, give us a call today at 702-614-7663.